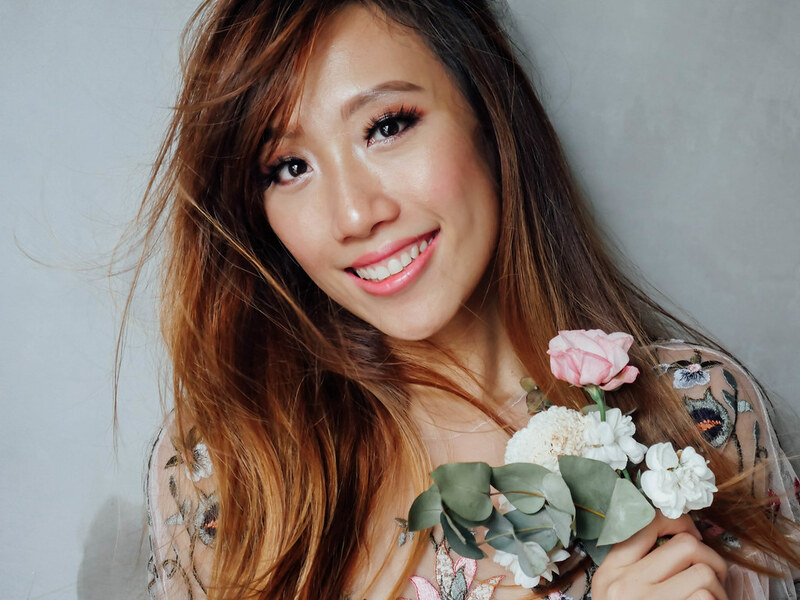 There are certain aspects of Asian makeup I find too minimal whereas some aspects of Western makeup I find too much, which is why in my latest makeup routine, I marry what I like about both trends into one unified look. An obvious difference between Asian and Western makeup style is the way foundation shows on the skin. 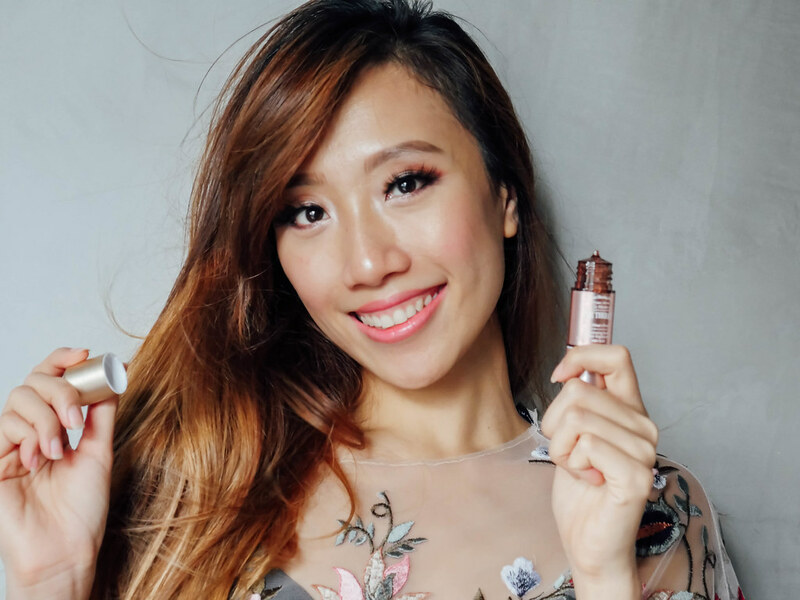 While you will always spot Korean beauty YouTuber, Pony, wearing luminous ‘glass skin’, Western beauty, as portrayed by Kim Kardashian or Carli Bybel, use layer after layer of products to achieve that full-coverage doll-like complexion. For many reasons caking my face is a huge no-no (e.g. 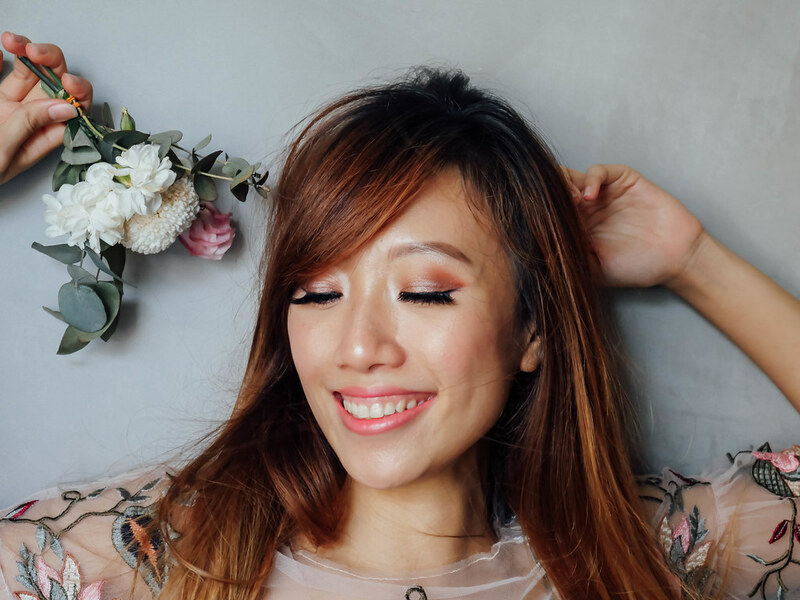 living between countries with tropical weather) so I like to keep my foundation lightweight and get more playful with my eye makeup the angmoh way instead. Recently I discovered a fresh series of products that miraculously transforms my foundation application from ‘basic’ to dewy in SECONDS. 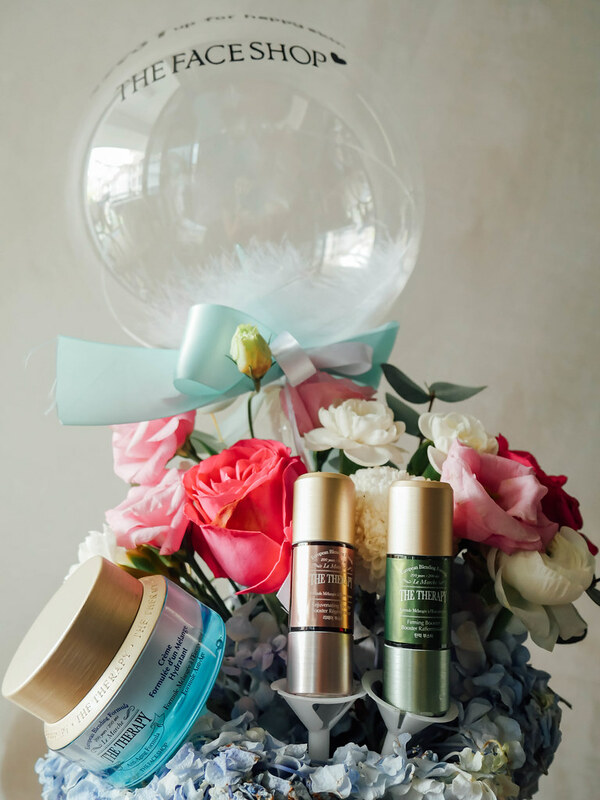 It is called THE FACE SHOP The Therapy Boosters available for a limited time, which is why my beauty cabinet is stocked up with these potions to last me a very long time because 1-3 tiny drops are all you need for every foundation application! There is no need to change your current beauty products because, with this genius creation, you can custom blend them together. Left to right: Moisture Blending Formula Cream, Rejuvenating Booster, Firming Booster – the secret cocktail to a flawless face every time. 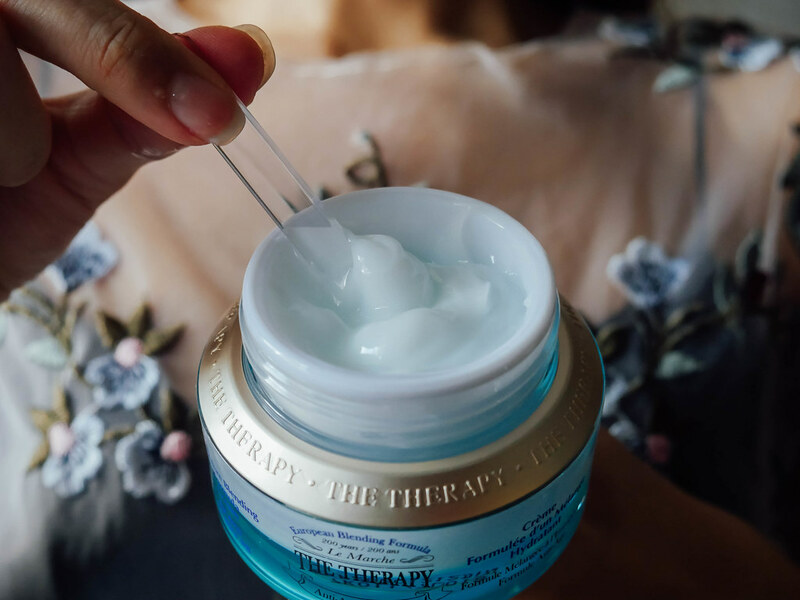 THE FACE SHOP The Therapy is a Korean beauty line that embodies a two-century-old European natural blending method from Le Marche, Italy. This method first became known to the world by scholars who studied 18th-century ethnobotany. Condensed into 135 hand-blended recipes that vary in botanical ingredients and processing techniques, it has been used to beautify the skin for over 200 years! Now let’s DIVE DEEP into them. P.S. I had only done my eye makeup below, leaving my face bare (without moisturizer / primer / foundation). After serum application, I start by applying a luxurious anti-aging intense moisturizing cream using outward strokes all over my face. This one by THE FACE SHOP contains a balanced blend of French Sea Water and natural essential oils. I then cover my face with both palms to help the product absorb even better. Upon opening the jar, you’ll find a layer of lightweight essential oil at the top and moisturizing gel at the bottom. Using the spatula provided, mix the 2 layers just once when using for the first time in a circular motion for 10 seconds. (Being part of this manual hand-blending process turns out to be my favorite part of this step!) The combination is a moisturizer that gently melts into skin for intense hydration. My foundation process begins by mixing 3 drops of The Therapy Rejuvenating Booster into my favorite makeup base. This botanical booster contains a blend of rosemary flower, comfrey leaf, and borage leaf to rejuvenate skin that looks tired due to stress and other external factors. At this stage, you’ll notice an immediate uplifting result that is a radiant, nourished and glowing complexion. Don’t underestimate the power of this tiny pink bottle – it is definitely called BOOSTER for a reason. Its heavenly mixture of lavender flower, hazel leaf, bay leaf firms, energizes and hydrates skin like a dream. Add 1-3 drops into your favorite foundation to combat flaky, sagging skin. Its fluid texture makes it easy and even fun to blend! Using a stippling brush, I apply the newly improved formula of hand-blended foundation all over my face and neck in small, light circular motion. Complete makeup look with loose powder, bronzer, blush, and highlighter. So there you go – that’s how I achieve dewy, glass skin which you can too. 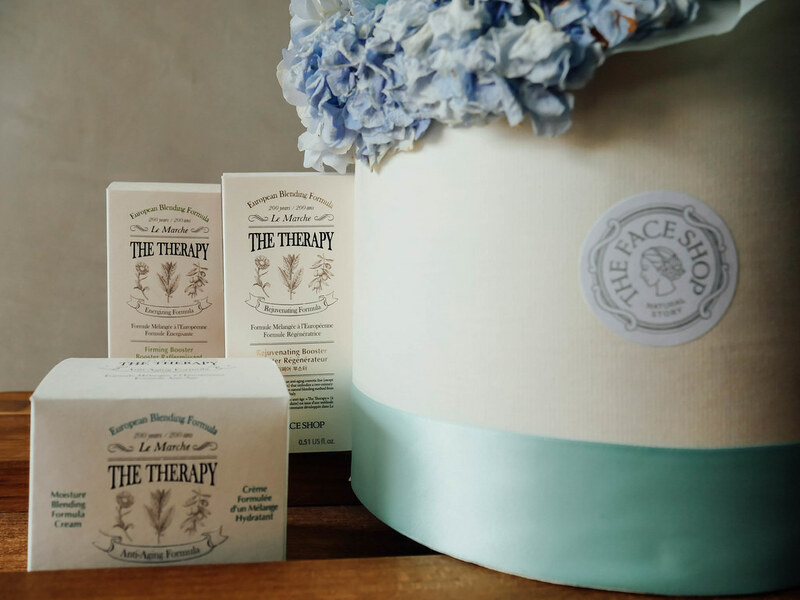 The Therapy series is available at all THE FACE SHOP Malaysia outlets available in April 2018 for a limited time, so get it now before it runs out!